Todd Mathis was born and raised deep in the heart of Texas. An industry veteran with nearly two decades’ experience evangelizing the wines of Burgundy, Rhone, Loire and Champagne, he co‐founded DNS Wines with his long‐time colleague Nina Scherotter in 2013. As the company’s Director of Sales, his mission is to connect DNS wines’ artisanal growers with the most discerning tables everywhere. Todd continued learning the food side, next with celebrity chef Alex Stratta at the acclaimed Renoir in Las Vegas, and then found himself lured back to Austin, to open Emilia’s in 2000. However, Todd’s obsession with wine led him to seize the opportunity to take on, and then ultimately take over, an Austin wine store and bar. After two years, Todd left the retail side and accepted a position as the Director of National Sales with legendary importer Martine Saunier, moving back to San Francisco in Spring 2004. 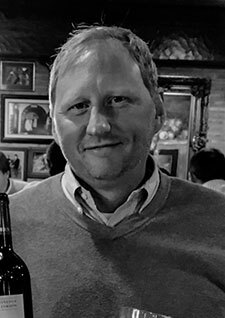 In this role, Todd oversaw the national distribution of the Martine’s Wines portfolio, spreading the gospel nationwide, and building relationships not only throughout the United States but also throughout the wine regions of France. He taught himself French while flying all over the country, and practiced on the back roads of Burgundy, which he now knows better than his native Texas. Todd’s unique range of experience allows him to engage with everyone from vineyard to table. Todd (aka Mr. Burgundy, as he’s known by fine‐wine distributors across the country) projects a contagious enthusiasm whether discussing esoteric issues around terroir and growing conditions or what wine to pair with dinner. His retail experience resonates with consumers, and his culinary training helps put the food and wine together. He’s proved as ardent an advocate for the grower producers of hand crafted fine wines as for the restaurants and retailers that support them. Simply put, he brings the whole family together. When not pulling corks, Todd is distance cycling (pretending he’s in the Tour de France), running (when he has to), playing the guitar, or nursing a beer as well as an “unhealthy obsession with Texas Longhorn football.” He currently lives in Austin, Texas with his wife, Stefani, and their two children, Presley and Paisley Lola. Dionysi Grevenitis has, by his own words, “worked every side of this industry short of stomping on the grapes.” Originally from Philadelphia, Dionysi moved to NYC in 1999 to attend Sarah Lawrence College for a M.A. in Creative Writing. As things tend to go in New York, he quickly picked up shifts waiting tables to pay the rent, and within a year and a half of setting foot in the city, transitioned into Assistant Manager, and then General Manager. Entrusted with the beverage program duties at the venerated organic food establishment “Spring Street Natural Restaurant,” wine classes soon followed as did New York’s first fully organic wine list. By 2003 Dionysi had moved on and opened up his own small bistro in upstate NY which he calls a wonderful, sublime, abject failure and then took the time to settle onto the side of a mountain in a 140 year old cottage with his wife and two infants to take up stone masonry. Field-stone walls, foundations and staircases followed, as did wine cellars made of Burgundian limestone he imported from Comblanchien just south of Nuits-Saint-Georges in the Côte-d’Or and filled with wines that he helped source for collectors. By 2007 the country-living experiment had run its course, and Dionysi moved back down to NYC to continue his wine cellar company, Dalst Stone Wine Cellars, designing and building rooms as far afield as Bill Harlan’s Napa Valley Reserve in Napa Valley, Hedges Family Estate’s tasting room in Seattle, WA and Richard Gere’s restaurant The Bedford Post and Inn in Westchester, NY. With the calamity of “The Great Recession” and its impact on high-end design and construction, a transition into wine retail was made, and he worked for some years at the eclectic Sip Fine Wine in Brooklyn, NY. By 2010 Dionysi had left retail for the world of wholesale distribution at Frederick Wildman & Sons where he worked for 4 years, first as a Sales Representative and then, additionally, as Portfolio Manager for the Greek wine portfolio that he created while there. In 2014 DNS Wines made and offer to Dionysi that “he couldn’t refuse”, both offering him the opportunity to be the New York Market Manager for their fledgling, boutique company, but also brokering his Greek portfolio to DNS for national distribution in NY and the rest of the U.S. Importing, wholesaling, market management, retailing, buying, sourcing, building cellars, brokering. The only thing truly left is a bucket of grapes to sink his feet in to. Greg has been a beverage professional in Texas since 2003. Originally specializing in coffee and tea, then beer, he gradually concluded that wine was his greatest love. He led the wine and beer department at a gourmet retail store before moving over to the distribution side, where he eventually became the General Manager of South Texas for Favorite Brands, LLC. 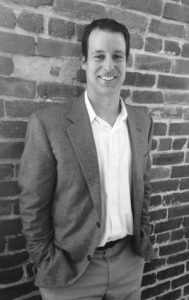 Greg co-founded Ensemble Beverages in 2014 as a company focused on promoting smaller wineries and importers for the Texas market. DNS Wines came aboard as one of their original clients, and both businesses have been growing side-by-side ever since. Now working as a full-fledged employee with DNS, Greg is able to combine his logistical skills with ongoing sales efforts on the streets. Weekends with the family often involve multiple league sports activities with his boys, interspersed with grilling and on his screened-in patio. When no one else is home, he has also been known to crank his boutique Class A tube amp. Eriko Gillespie developed her interest and passion for wine after moving to Northern California. As a food and nature lover, with unlimited access to breathtaking vineyards, she quickly became enamored with the local wine industry. A graduate of Temple University in Pennsylvania, Eriko eventually moved to Los Angeles, where she spent eight years managing boutique toy companies. 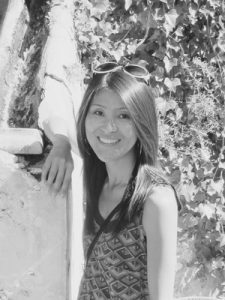 With over ten years’ experience working for start-ups, Eriko embraced the opportunity to work at DNS Wines, and continue her wine education. The more she learns, the more she appreciates each sip. In her free time, Eriko enjoys cooking and experimenting with different cuisines, exploring new restaurants, and hiking on the weekends. Trips home to her native Japan are always one of the highlights of the year. Springboard Wine Company is a full-service fine wine brokerage with over 20 sales representatives working throughout California on behalf of their portfolio of outstanding imported and domestic brands. Springboard was founded in 2006 by three sisters: Sybil Ajay Sanford, Elizabeth Corsini and Chloe Downing. They are committed to integrity without compromise and to promoting wineries that distinguish themselves as not only producers of exceptional quality wines, but also progressives in their field. J&L Wines’ roots in Paso Robles date back to 1981. Under the ownership and guidance of Lorraine Alban since 1997, the company endeavors to market their suppliers’ wines with care and integrity, and develop sales programs that produce results in all channels of the trade. 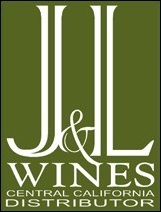 Currently employing 11 regional sales people (& growing), J&L Wines has an excellent reputation for professionalism, knowledgeable sales personnel, and outstanding service. Dustin Chabert, a fifth generation kitchen child, grew up outside of Chicago where his chef-father arrived after leaving the family hotel-restaurant in the French Alpine hamlet of Bugey. As soon as he was old enough to reach the counter, Dustin was washing dishes and prepping vegetables in his father’s restaurant. He spent summers back in France with his grandparents, reconnecting with the old world, and chasing each meal’s cheese with a splash of wine, dramatic foreshadowing for his future. Though his grandmother always told him that four generations in the restaurant were enough, and Dustin tried to do everything to shake his history, he wound up falling in love with it all over again while working as a server at Michelin-starred Graham Elliot fresh out of college. 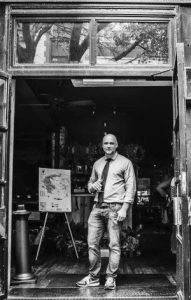 His breeding, passion and curiosity propelled him to General Manager there, and sparked his interest in pursuing his studies as a sommelier, most recently serving as beverage director at Momotaro. 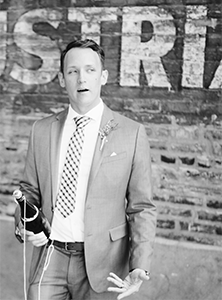 He lives outside of Chicago with his wife and children and is currently completing the Court of Master Sommeliers Advanced certification. Rachel thanks her parents for igniting her passion in food, wine and travel. Born and raised in Texas, her family preferred popping bottles of wine over cans of Bud Lite. Her adventurous spirit took her to the University of Denver for college, and further to the Marchutz School of Painting and Drawing in Aix-En-Provence, France. When she wasn’t painting Mont Sainte-Victoire en plein air, she was sniffing and swirling glasses of wine with the local eonologist. Shortly after graduating with a BFA in Studio Art, Rachel decided to swap her paint brush for a wine key and accepted a job as Wine Steward at the Adam’s Mark Hotel in Downtown Denver. Realizing that restaurant life was not for her,and craving more international surroundings, she left Denver in 2003 for New York City. Rachel’s first job in New York was as a Wine Auction Coordinator for Acker Merrill & Condit. Regularly tasting collector bottles from noteworthy vintages, her wine knowledge improved quickly and she also attained her Advanced Certificate from the WSET. Working in the wine auction world eventually morphed into a position as Sales Representative at Frederick Wildman & Sons. For 12 years at Wildman, Rachel Palmer Stones was one of the leading professionals in the wholesale wine scene in New York City. 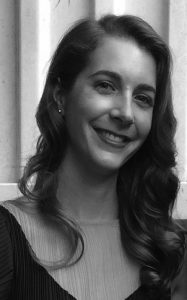 Ready for change and a desire to join a growing and dynamic team, she has welcomed a new position with DNS Wines as Key Account Manager / Portfolio Development. When Rachel is not riding the subway, she can be found riding a surfboard or swimming laps at the local YMCA.